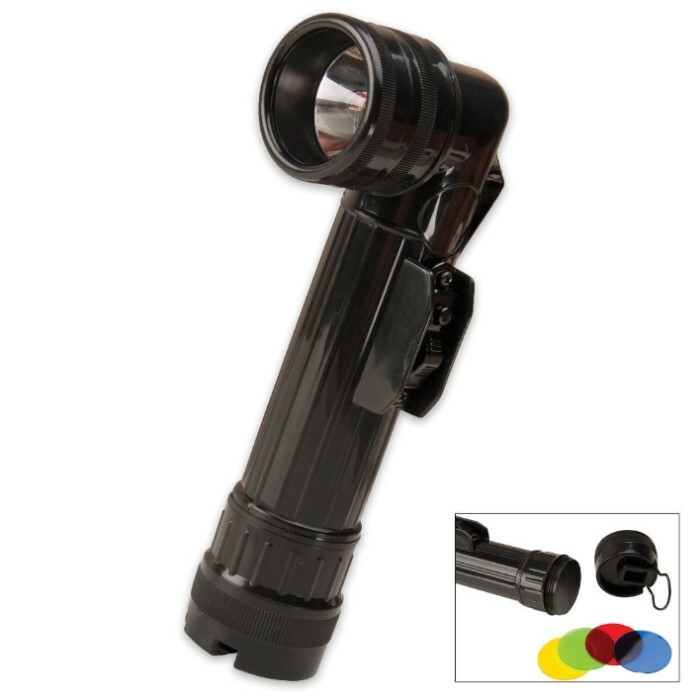 Rugged full size D-Cell flashlight with high-density black plastic construction. Features include a metal belt clip, 5 lenses (clear, yellow, green, red and blue) and a spare bulb. D-Cell batteries not included. Sweet light, works and is an unbeatable price. Would have loved if it was made out of metal instead of plastic, but still very satisfied!!! Super nice flashlight. Everything I was looking for. This flashlight will see a lot of use. Highly recommend to anyone needing a quality light. I definitely enjoy this flashlight and I do enjoy the fact that it has different lenses. It also has a feature that allows you to hold the button down and then once you let it up it turns off. The other mode is just like a regular flashlight that will stay on until it is turned off. This is my favorite flashlight so far.